So frendly professional and helpful. Great cut. Great colour. Janie at Andrew Jose salon is one of the best. Ive been going for years. Every time I try somewhere else I find myself going back to Andrew Jose’s because the cut and service are so much better. Super experience. Amazing outcome. Thank you. Natasha is an excellent stylist. My hair and blonde has never looked so good! Great atmosphere, good products and a really relaxing experience. Great - my hair looks lovely and it was a pleasure from start to finish. Really good experience - slick booking app, friendly team and a great haircut. Really good range of product too. Thanks Andrew! Very happy with the service, staff is always friendly and helpful and the result is always excellent. A tad expensive. Have been going to Andrew Jose for more years than can remember.Always a lovely experience- wouldn’t change hairdresser . Rebecca & I understand each other very well & I always come out looking great . Lots of compliments after each visit , without fail . 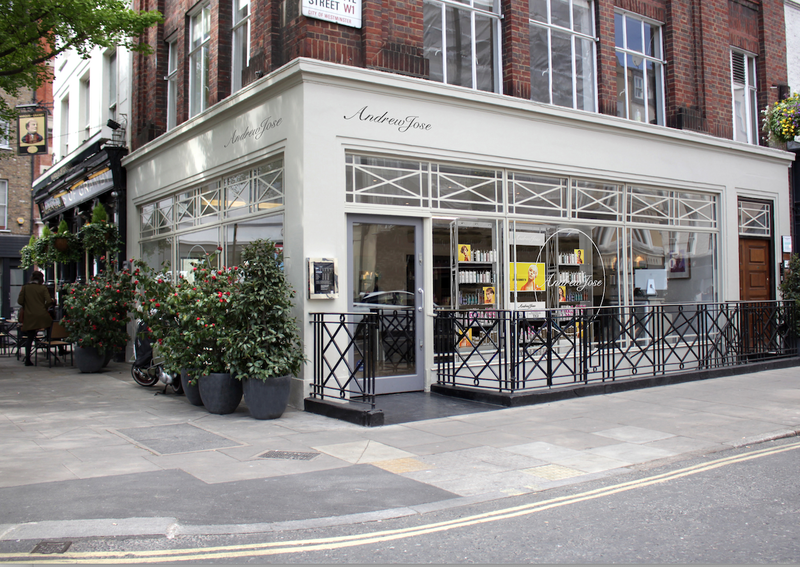 Just back from another fab experience at Andrew Jose hairdressers in Charlotte Street. My stylist, Glenn Burr, is just fab. He listens, he advises and he delivers. Can't imagine going anywhere else for my cut and colour. Thank you guys. I’ve been having my haircut with Andrew for 30 years. I won’t go anywhere else! Jessica is such a wonderful person!! She is competent and an expert of her profession. The salon embraces a relaxed ambience which makes you comfortable. Worth it! Great haircut from Evelina in a fantastic, friendly salon. Excellent haircut with attention to detail makes maintenance of the style simple. Thanks to Evalina as always. Really lovely salon and very talented hairdresser’s. So glad I found this place! I feel like a new woman. Very pleased with my colour done by Rebecca, it’s always a pleasure when you get what your asked for. The precision and attention to detail in the cut by Andrew was impressive to say the least and of course that produced a great result. I’m delighted with my new look. I absolutely love this salon and Jessica. She always has a smile on her face and she always does exactly what I want. I am always happy whenever I leave the salon!